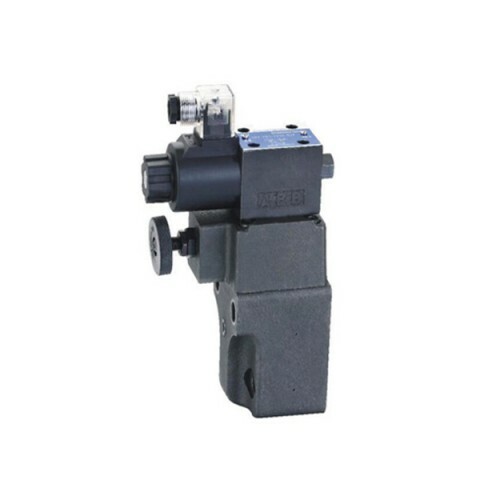 BSG solenoid operated pressure relief valve is combination of relief valve and solenoid valve,Pipeline between the two is eliminated,since solenoid valve is directly mounted on the relief valve and connected with relief valve vent.Pump pressure may be unloaded remotely by electrical signal of solenoid,or by connecting pilot relief valves with solenoid valve ports. 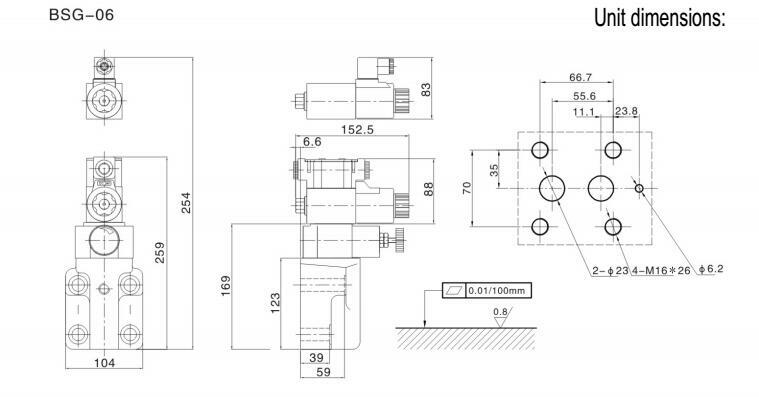 The valve can also take use of pilot relief valve, making hydraulic system has double or triple pressure control. Modular controls solenoid valve due to the material, processing accuracy, the use of wear and other reasons, there may be an abnormal increase in internal and external leakage, resulting in a decrease in pressure, or through the flow problem and other issues. 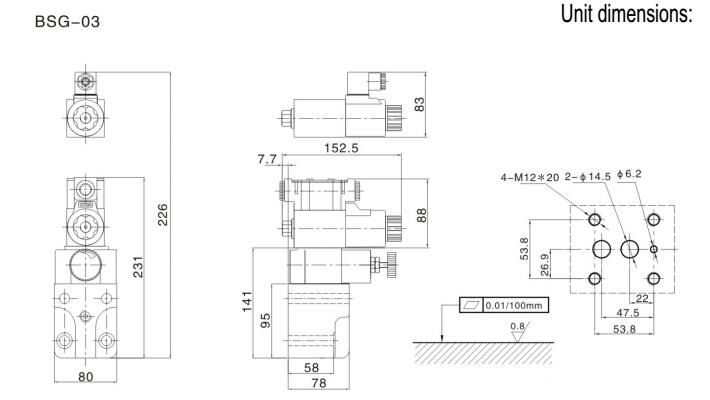 The leakage of electromagnetic modular controls solenoid valve leakage is increased, the most common problem for the O type sealing ring. Should check whether the O ring is installed in place, if there is a squeeze, damage and other issues, it is best to replace the sealing ring. Also need to check the size of the sealing ring, and whether it is consistent with the size of the sealing surface, O type of ring is too large or too small will affect the sealing effect. 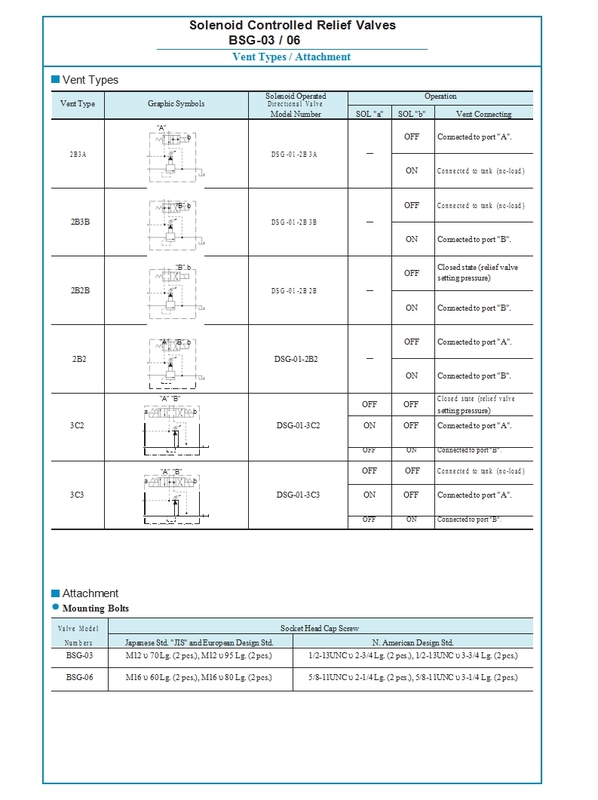 Secondly, O type ring material hardness in high pressure situation will also affect the stability of the seal, the lower hardness of the O ring is not suitable for solenoid operated relief valve seal, should choose high hardness O type ring to get better sealing effect. 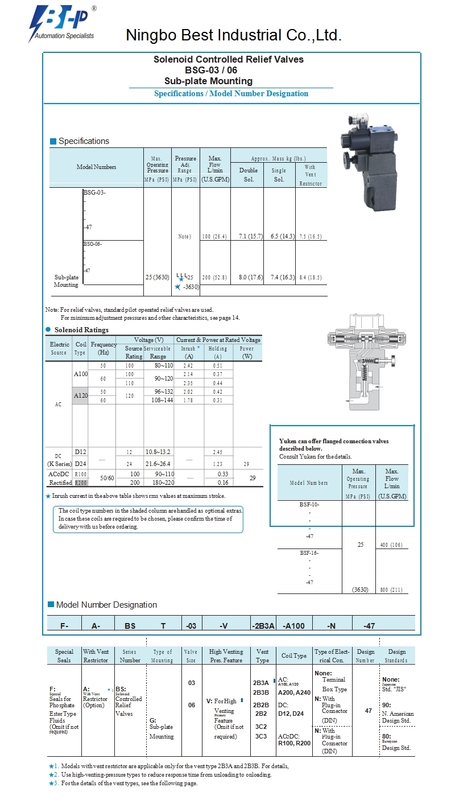 The internal leakage of the electromagnetic 3 position 4 way directional control valve is increased, which causes the system pressure to reduce, the flow loss, and the work efficiency of the hydraulic system. 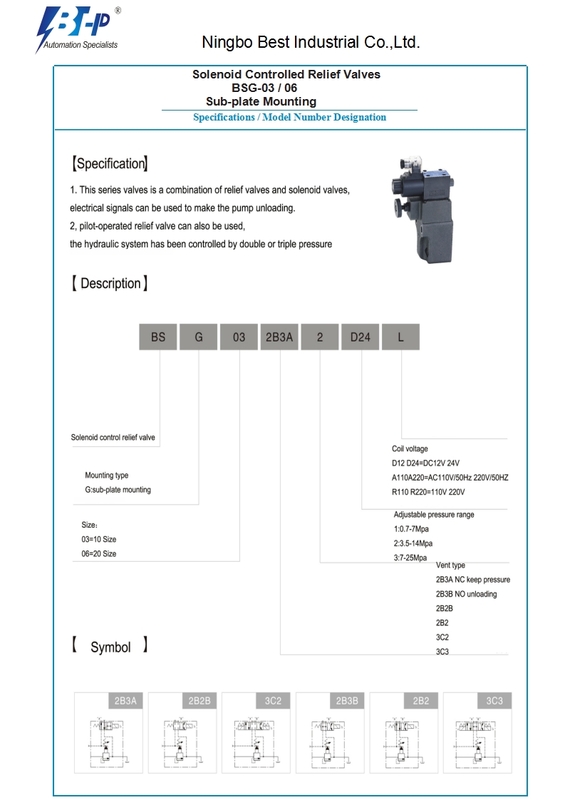 Common cause of this failure is solenoid operated pressure relief valve body hole and spool wear in the long-term movement of the process of friction,lead to excessive solenoid operated relief valve clearance, causing leakage. Can repair the outer diameter of the spool, or replace the valve core.The material hardness of valve core and valve body directly determines its service life.